The Hertz and Travelbiz four wheel hive hit the road in style covering events, shows, launches and the occasional visit to our followers and readers around the country. 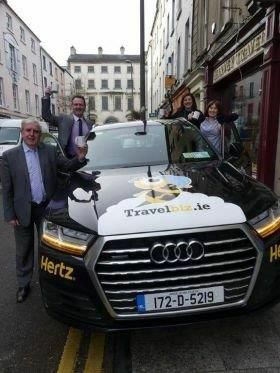 Ian Manto, Sean Power and the Harvey Travel team in Waterford took the opportunity to take a ride in the Travelbiz Hive. Then came the Bizcopter!